1 Combine Soup Mix, jam and soy sauce in a large bowl. 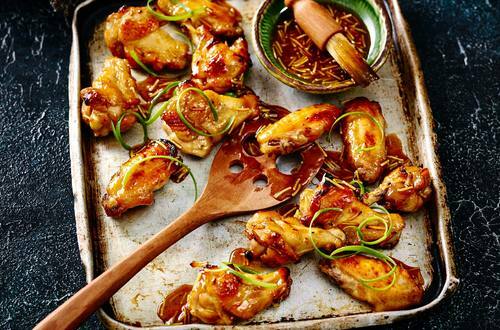 Add chicken wings and stir to coat thoroughly and marinate for 30 minutes. 2 Place in a single layer in a baking dish and bake at 190°C for 45 minutes, until chicken is cooked. Brush with marinade during cooking. 3 Serve as a party snack or as a main course with stir-fried vegetables and rice.